High-sensitivity internal 10 Hz GPS/GLONASS provides position and ?heading updates 10 times per second. It displays fluid on-screen location and proves to be incredibly accurate when marking 8,000 waypoints and navigating. The built-in sonar capabilities of the AQUAMAP 80xs gives you the freedom and flexibility to choose from several optional transducers, including traditional, CHIRP and all-in-one HD-ID/DownVü scanning sonar with CHIRP technology. Add a GCV™ 10 black box sonar for both DownVü and SideVü™ scanning sonar with CHIRP technology (sold separately). The Garmin AQUAMAP 80xs offers select networking capabilities that allow you to share features with other compatible Garmin AQUAMAP 80xs units, such as radar, GCV 10 DownVü and SideVü scanning sonar, supplemental maps, and user data, such as waypoints, routes and tracks. 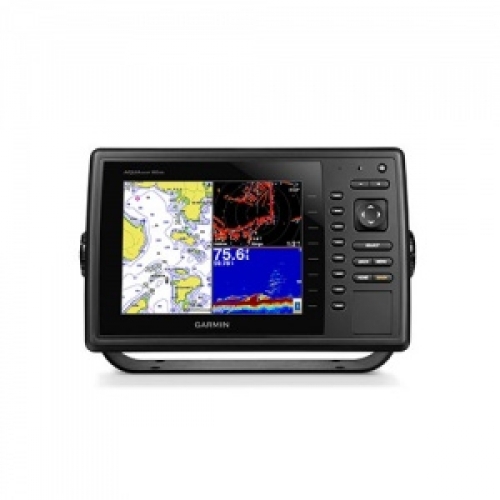 Supported fishing features include boundary lines and color rejection on Garmin AQUAMAP 80xs.